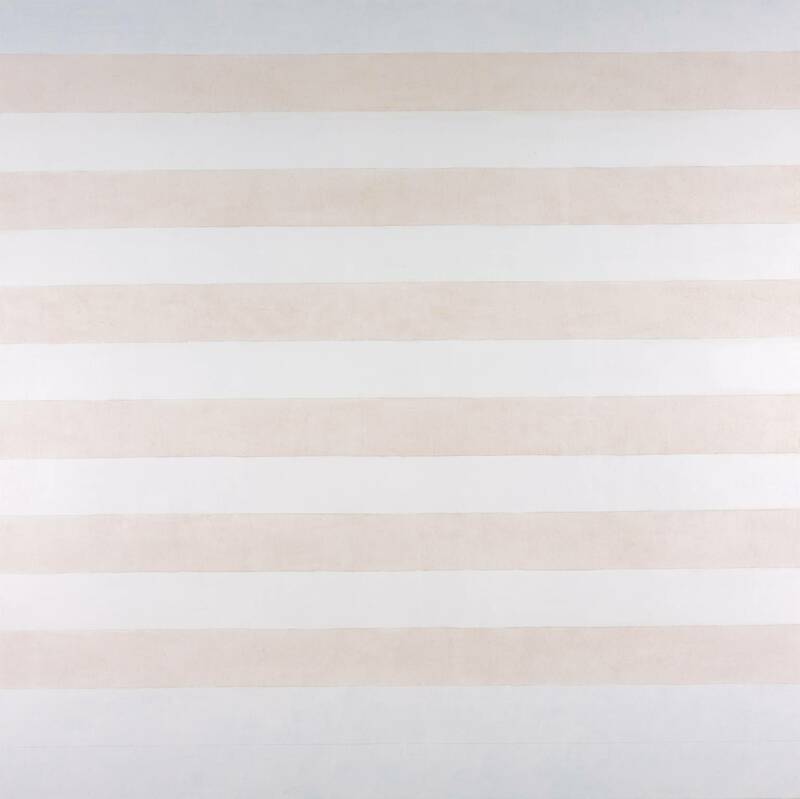 What a joy to spend an afternoon at Tate Modern’s major retrospective of Agnes Martin. Of particular fascination are the parallels with yet stark deviations from Minimalism, the tension between form and medium and expressive yearning. Martin’s approach to color reinforces her formal restraint, yet paradoxically opens up a vast new dimension of sensual intensity. 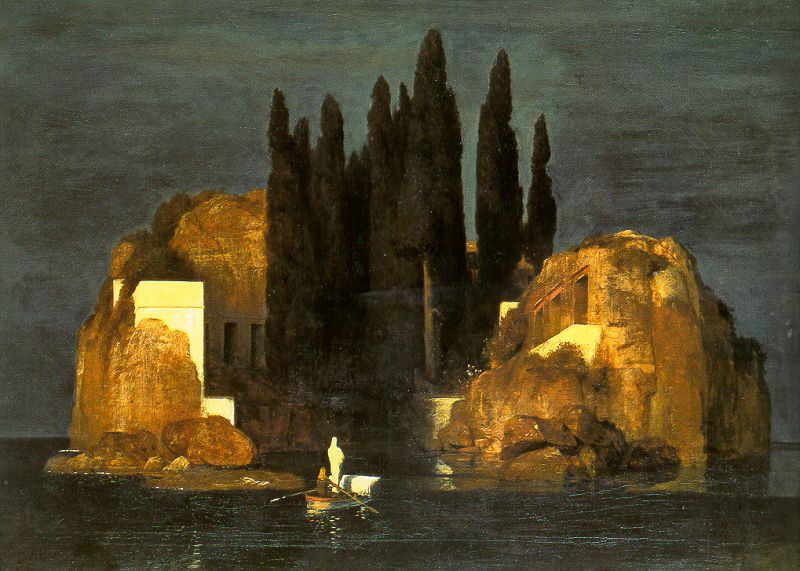 Nowhere is this more apparent than in the cycle of twelve paintings, The Islands. These variants on Martin’s signature grids, in white, create an unsurpassably beautiful experience. Their contemplative serenity left me almost snow blind, dizzy, visually drunk. Readjusting to the “normal” white of the walls, the everyday noises of shoes echoing, becomes a challenge. How to decompress? Without awareness of beauty, innocence and happiness,one cannot make works of art. I was recently studying Rachmaninoff’s famous tone poem for a project. This interpretation by Evgeny Svetlanov and the BBC Symphony I rather enjoy — especially how they bring off the brooding opening. When composing, I find it is of great help to have in mind a book just recently read, or a beautiful picture, or a poem. Sometimes a definite story is kept in mind, which I try to convert into tones without disclosing the source of my inspiration. Originally part of a series of mythological love stories, this panel is a comment on passion’s perils. Semele, a mortal impregnated by Jupiter (Roman king of the gods), is consumed by fire after the god’s jealous wife, Juno (queen of the gods), tricks her into looking directly at him despite his warnings. 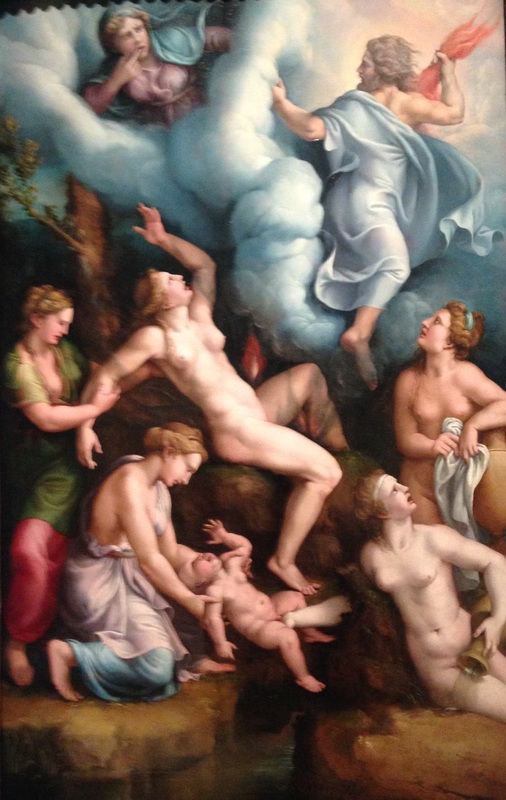 Below is the newborn Bacchus (god of wine), Semele’s son by Jupiter. As the hapless father flees clutching his thunderbolts, Juno looks on apprehensively.